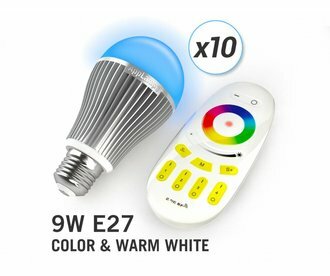 Complete RGBW LED bulbs sets. 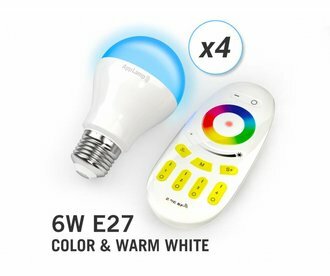 Control the lamps in four individual zones with the included RF wireless remote control. These LED lights can be set to any RGB color or to cozy warm white light. With the optional wifibox you can operate these LED lights via an App on your smartphone or tablet.